Google and Microsoft are the most popular web-based translation services. They provide good service at a fair price; service fees are paid by advertisers or Loqu8 (since iCE does not display annoying advertising). When you highlight (HighlightScan) or copy (ClipboardScan) Chinese text, the translation is displayed at the top of the popup window. These third-party services are subject to availability and require a web connection. Tip: For best results, always review these translations with dictionary-based definitions. Google and Microsoft offer their services for a fee. On the web, advertisers pay the fee. 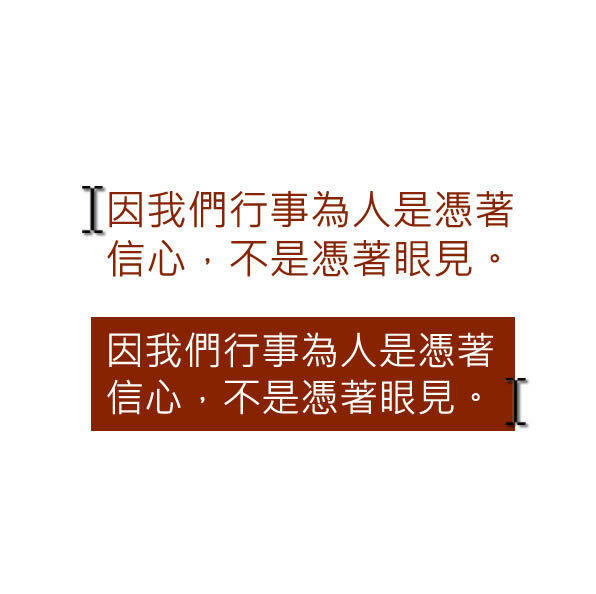 Since Loqu8 iCE does not display distracting advertising, Loqu8 collects a fee based upon usage (translation credits). Google charges for each character, space and punctuation. Since WebTranslate preserves the original web advertising for Google and Bing, there is no charge for using WebTranslate services. *Some features are supported only in Professional and Ultimate Editions. By default, Loqu8 iCE translates Chinese into English. Do you prefer a different language? 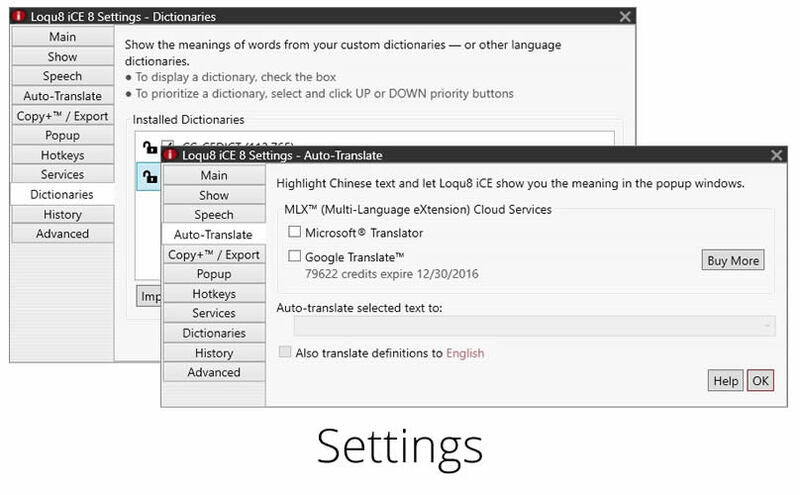 With Loqu8's Multi-Language eXtensions (MLX) cloud service, choose Spanish, Korean or other languages using Google Translate or Microsoft Translator services. You may also have the English meanings from the CC-CEDICT dictionary translated into a language other than English. In Settings > Auto-Translate, choose Microsoft Translator or Google Translate--or both. Select a range of words and phrases to understand, hear and learn. 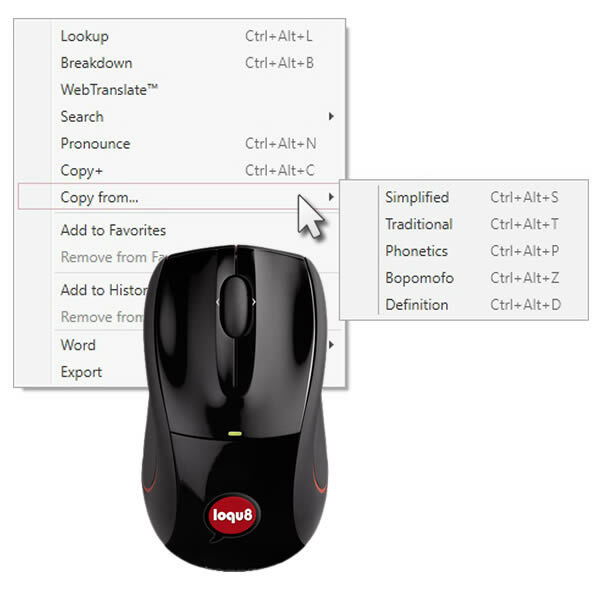 Copy and learn words directly from your email, PDF documents and websites. 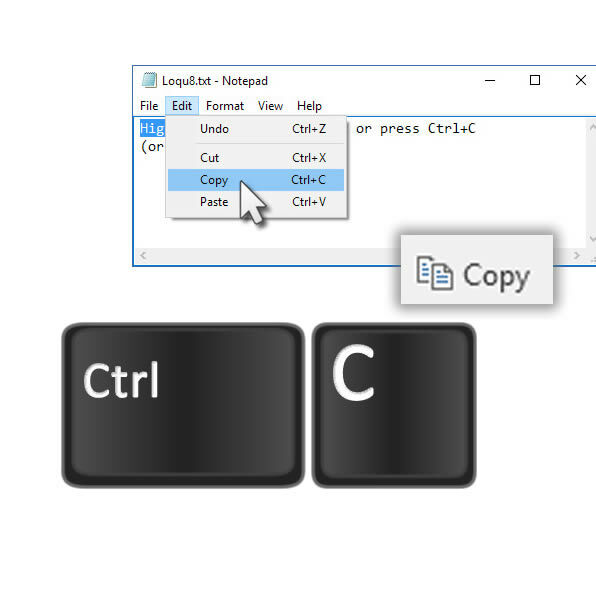 Right-click inside the scan window for Lookup, Breakdown, Search, Copy and more. Our users, from the U.S. State Department to the United Nations Office at Geneva, are excited about Loqu8.